Lydia Davies has recently returned to work after maternity leave and has achieved Children Panel Accreditation. 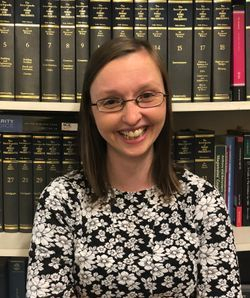 Lydia qualified as a solicitor in 2008 but has many more years’ practical experience in family law, having previously worked both as a paralegal and trainee solicitor focussing on that particular area of law which is her passion. Lydia undertakes both private and legal aid work, specialising in all aspects of family law including divorce, relationship breakdown, financial matters, Children Act applications and injunctions. Lydia also specialises in acting for parents and other parties in care proceedings, providing advice and assistance where Social Services has become involved with families,where children have been placed outside the family home in alternative placements such as foster care, and in cases where a family member may wish to be assessed as an alternative carer for those children. Lydia also prepares change of name deeds for clients, statutory declarations for couples who wish to get married abroad and prenuptial agreements for those clients who wish to plan ahead for their future. She is a member of the Law Society’s Family Law Panel, a group of lawyers who have earned special recognition for their expertise in Family Law, and who possess a high level of knowledge, skills, experience and practice in that area. She is an experienced advocate who adopts a client focused and constructive approach to helping clients achieve their objectives. On a personal level, Lydia lives in South Wales with her husband and young daughter. Being the mother to a young child, she has very little spare time! However, when the opportunity presents itself, Lydia can be found in the theatre, or in local restaurants.